Eco gifts, fair trade gifts, organic gifts - there’s so much to choose from at NaturalCollection.com! Available in £10, £20 or £50 denominations, NaturalCollection.com gift vouchers. printed on recycled paper, can be used as whole or part payment on any of the products on our webshop. Given to a teenage girl, in the hope it will encourage her to use more natural, ethical cruelty free products! gift...sent to my address instead of recipient of gift! 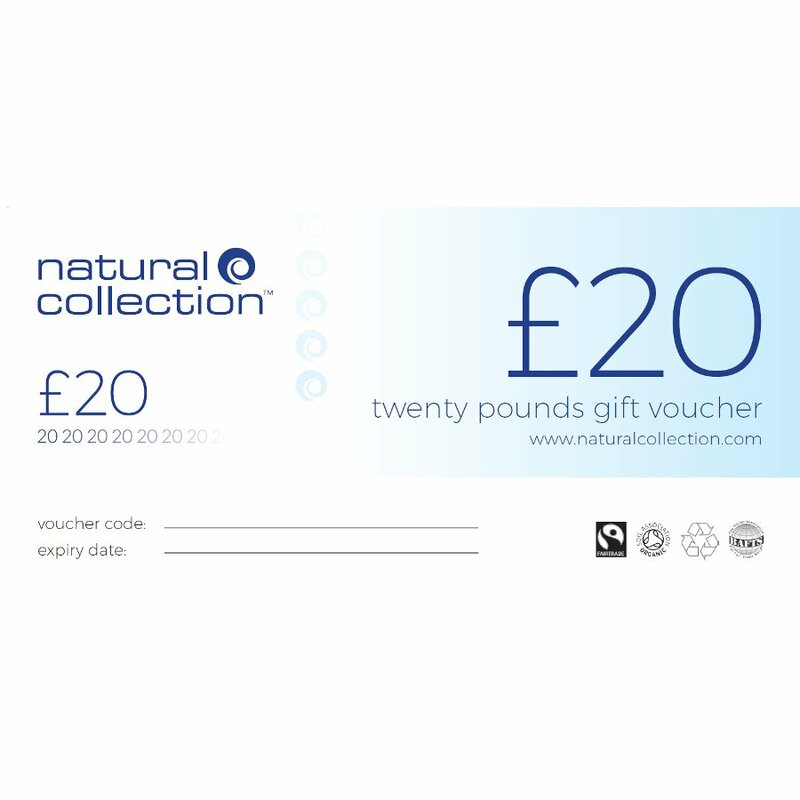 There are currently no questions to display about Natural Collection Gift Voucher (£20). NaturalCollection.com seeks to bring you the finest fair trade, organic, and eco friendly products from around the world as well as ones local to you.